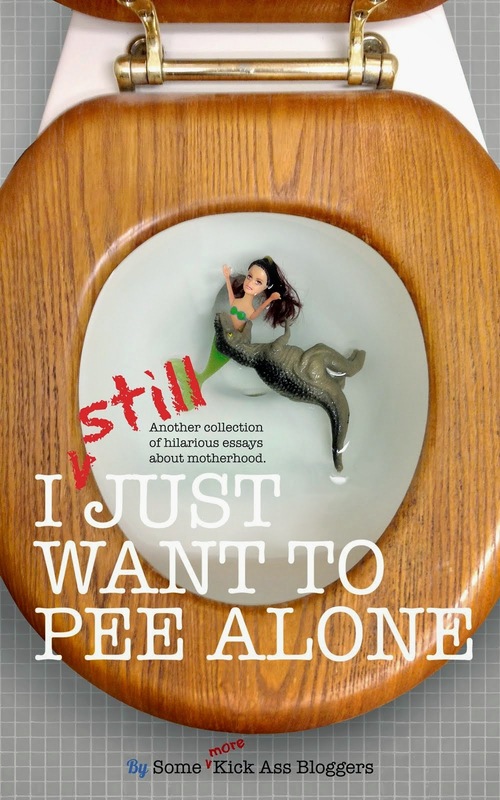 I Just Want to Pee Alone: You Want a Real Mommy War? How about instead of focusing all of our energy tearing down the women who get up every day and “suit up” to play, whether it be in a full blown business suit or yesterday’s spit-up covered yoga pants, but who openly acknowledge that what they are doing comes with great sacrifice, we laser in on the women who act like this job is the greatest, easiest thing they have ever done. I have a lot of friends who fall on both sides of this particular aisle, and the reason they are friends is because they are the first ones to admit that they cannot have it all … at least not at the same time and certainly not in equal measured parts. The ones who had a slam dunk at work that day often did so because they were missing their child’s school field trip. Or the ones who gave up their careers to make it on the field trip yelled at their kids in the car on the way there. Here is the real dose of reality for you … no one *wants* to be working at any of this. We would actually love for it all to come naturally, kind of like stretch marks and gray hair did. But, it doesn’t, so when you are talking with someone who says something asinine like she can’t imagine spending a minute away from her babies, or she has never missed a single milestone event because she had to take one more call at the office, or that she feels great pleasure in folding tiny little baby socks for the 800th time, then unless she is also coughing up the exact medication, dosage and possible side effects from whatever she is taking to help her achieve this Zen-like bliss, she is lying. You got it, sister, jump right in. If we keep it up the only mommy war left to be waged will be about who loves who more. No you’re a fantastic, hardworking, totally amazing mom. No, you are. No, you. This was originally published on The Dose of Reality. More About Ashley and Lisa: Ashley is a mostly-stay-at-home mom to Emma (9) and Abby (5), wife to my husband Robert (41ish), and an occasional nurse (turns out she would rather just play a nurse on TV). At this point, she stands a better chance of creating world peace than keeping her house clean and organized. She considers it a good day when she remembers to pick up both kids at school and also only raises her voice at bedtime. Her main goal in life is to surround herself with people who are real and tell it like it is. Lisa is a 40-something year-old mother to Bobby (12) and Lucy (9), and wife of 18 years to her college sweetheart, Robert. In her previous life before carpool ruled her every waking moment, she was a practicing physician in Internal Medicine. These days the only doctoring she does is diagnosing her kids with “don’t want to go to bed itis” and assuring her husband that man-colds are not fatal. Having realized decades ago that cool wasn’t in her wheelhouse, she happily embraces her ancient minivan and wearing yoga pants as many waking hours as possible. Love your posts...love this one especially. Too much "mama" judging, and waaaay too many mamas wanting to appear perfect, that I can't imagine what really goes on behind closed doors!